Today I am sharing with you a blog post from Nutrients For All posted by dosmargaritas functional foods. One of the goals of dosmargaritas is sharing the benefits of quinoa both with the developed world and with its producers – community farmers in the Andes region of South America. I am member of the board of dosmargaritas and believe strongly in helping for profit businesses make a positive impact in our communities and our world. Quinoa has gained unprecedented popularity in the last ten years: 2013 was declared “the year of the Quinoa” by United Nations, it is a hot item on restaurants menus and consumers are happily experimenting with it in their home kitchens. So, despite its alternate grain status, it is quickly becoming a household name. But, as Shakespeare said, “What’s in a name?”… Transcending the current quinoa craze and ensuring that the benefits of quinoa and quinoa production reach all stakeholders – in and out of the quinoa value chain – means looking at alternative ways to get quinoa and quinoa based products to market. Ashoka’s Nutrients For All movement promotes nutrients and access to nutrient rich food choices. One of the areas we are exploring is bringing quinoa based products that are produced, packaged and tailored to a variety of well-defined markets. We are also committed to maintaining quinoa’s unique nutritional properties and ensuring participation by communities of quinoa farmers along the value chain. 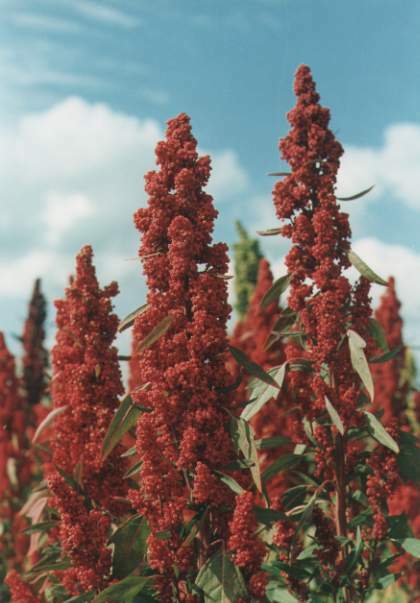 Quinoa is produced by community farmers in remote areas of the Andes Mountains in South America. It is sown and harvested by hand and typically bought by merchants who resell it to companies who package or refine it. We want the producer to participate more actively in the quinoa value chain benefitting from farming it but also from it becoming more accessible to people around the world. We believe that we can improve access to quinoa and its benefits as a nutrient rich food by “linking farming to food to diet to health” thereby including more people in the “Nutrient Economy”. It’s a challenging goal but it’s one of the ways that we want to make a tangible impact in business, in society and in quinoa producing countries.